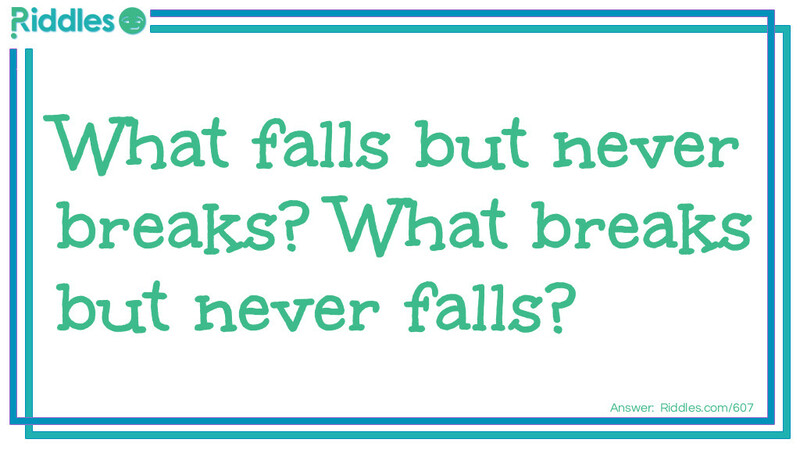 What falls but never breaks? What breaks but never falls? Breaks but never falls Riddle Meme with riddle and answer page link.